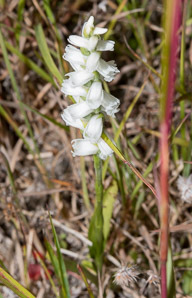 I think of orchids as relatively large, outrageously colorful, tropical plants of limitless variety. 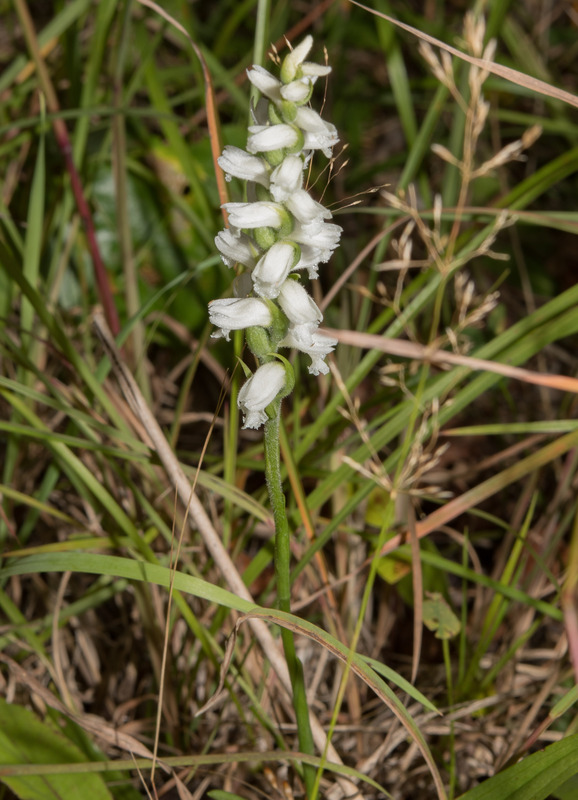 But these common, diminutive orchids (along with many others) prefer cooler climes. 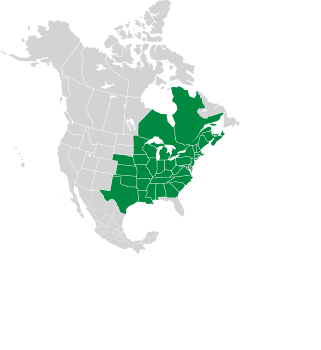 They are native to the United States. 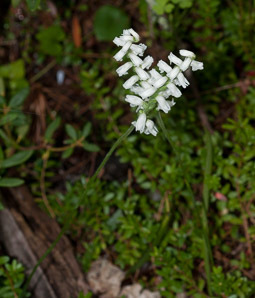 Identification: Plants are up to 16" (40 cm) tall, though most of this height is the flower stalk. A few long, narrow leaves occur, mostly at the base of the plant; they are 4-8" (10-20 cm) long and ⅛-¾" (5-20 mm) wide. The raceme (flowerhead) is up to 4½" (12 cm) high, roughly cone-shaped, on a single stem well above the leaves. 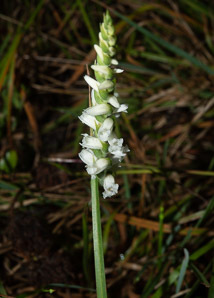 Tiny white flowers about ⅜" (1 cm) long spiral around the spike. Flowers are tubular in shape, with small sharp-tipped petals. Flowers appear between August and November. 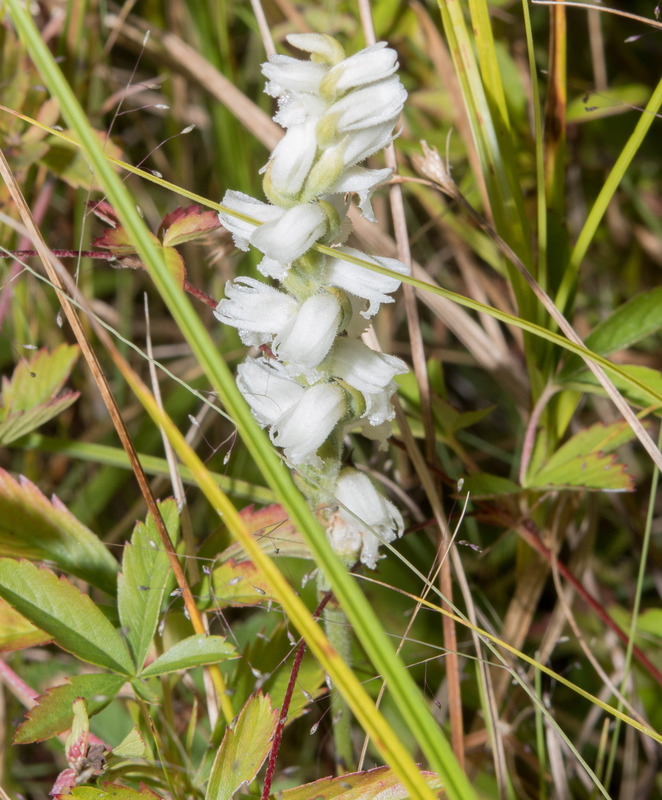 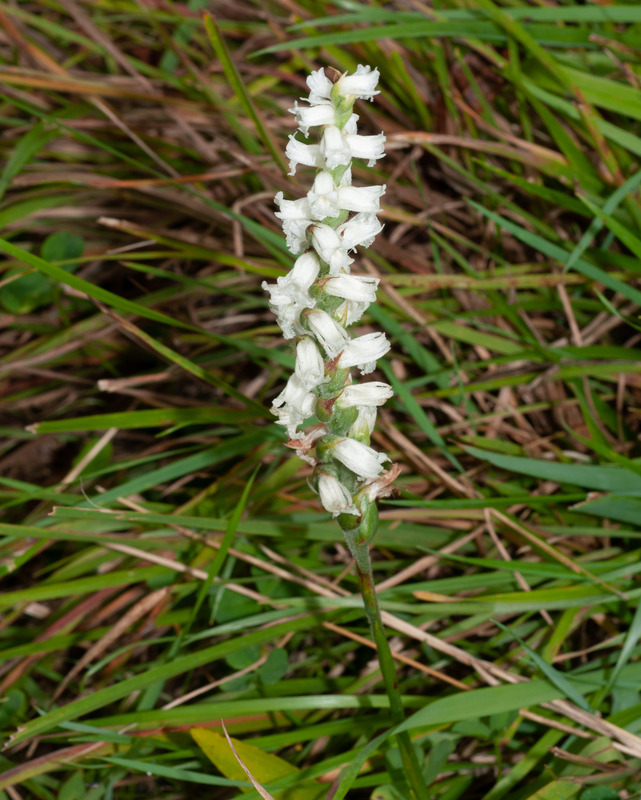 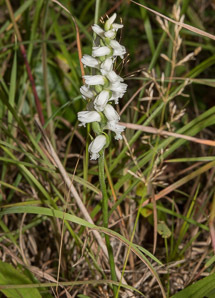 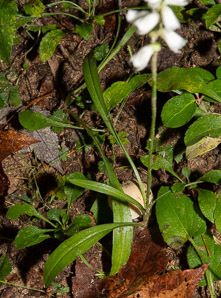 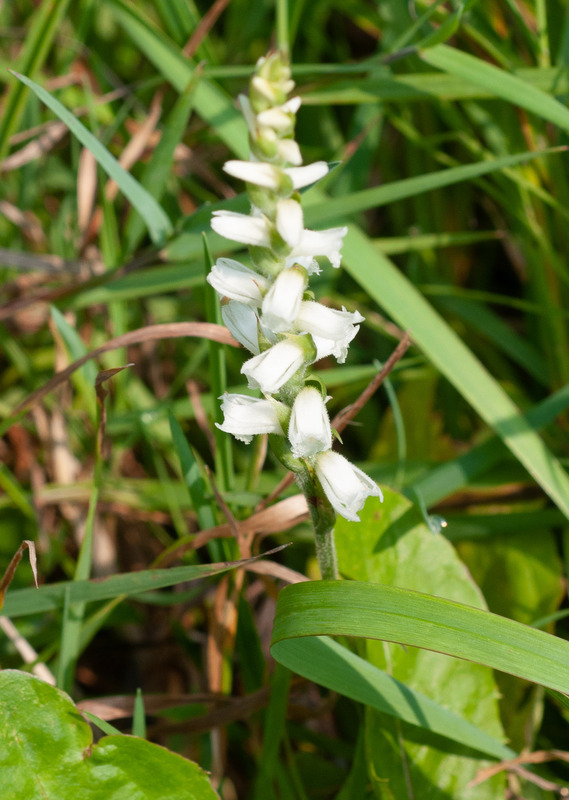 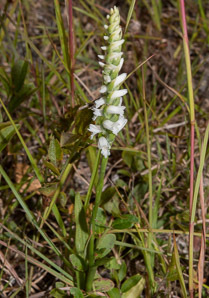 Ladies’-tresses prefer moist, sandy soils. 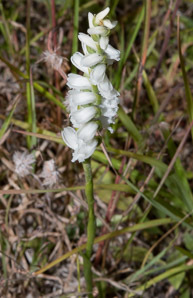 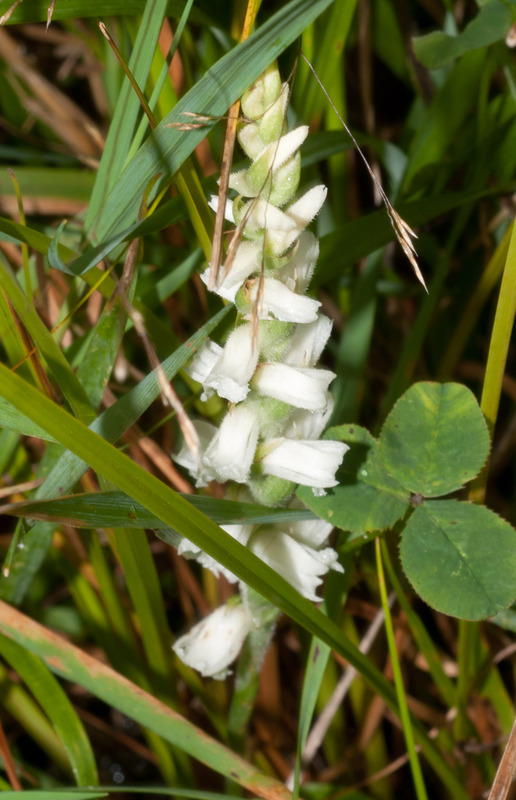 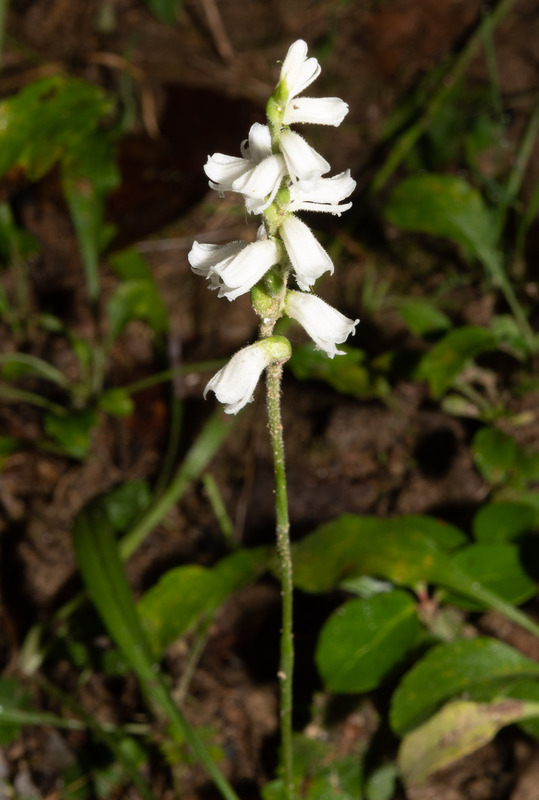 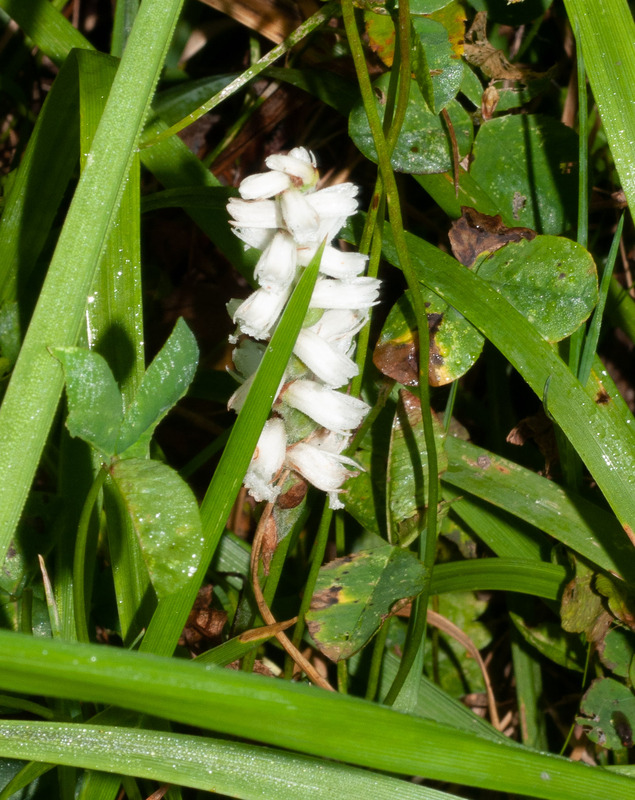 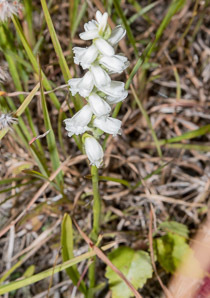 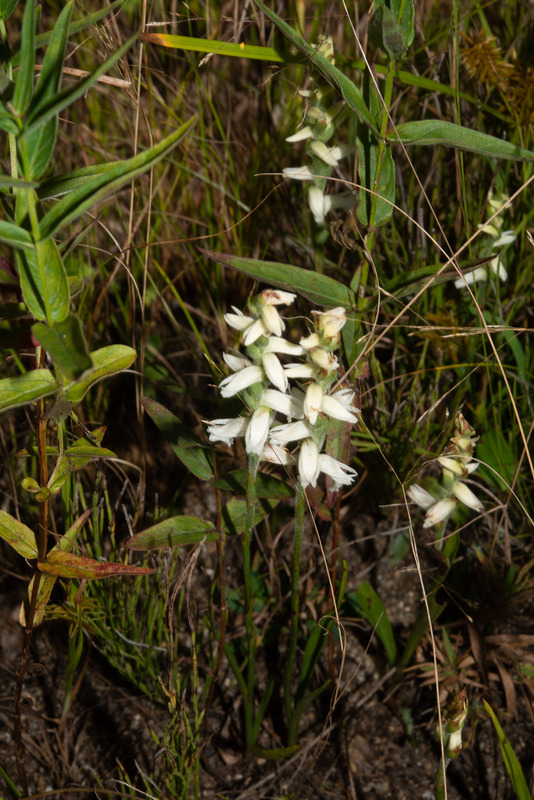 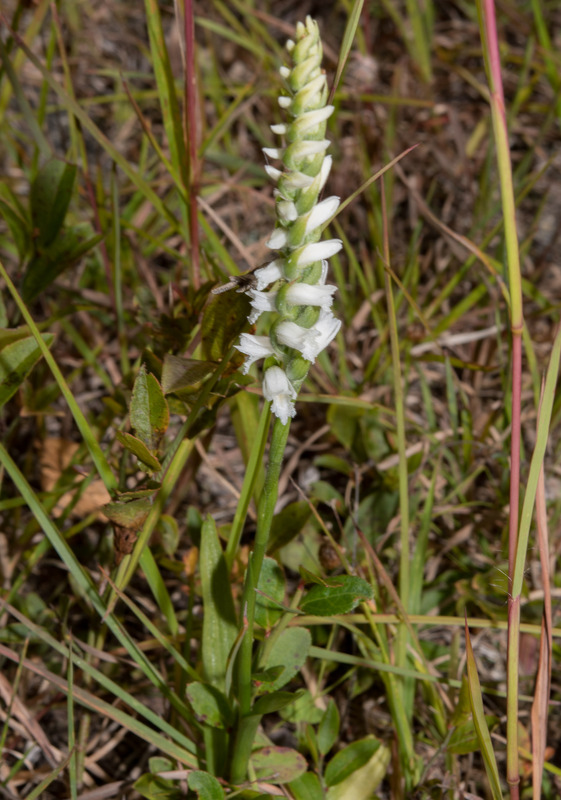 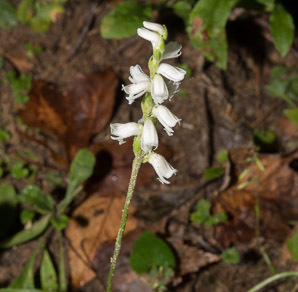 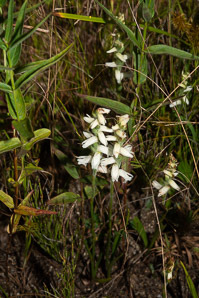 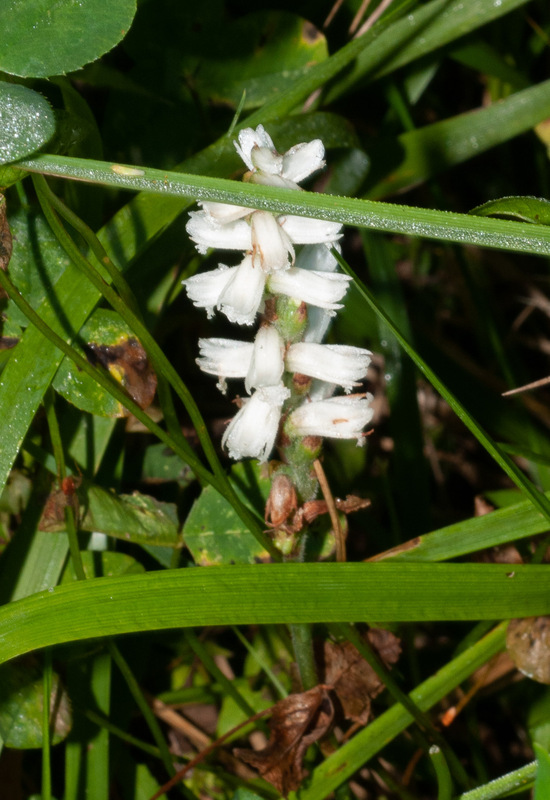 Spiranthes cernua description by Thomas H. Kent, last updated 2 Jan 2019.